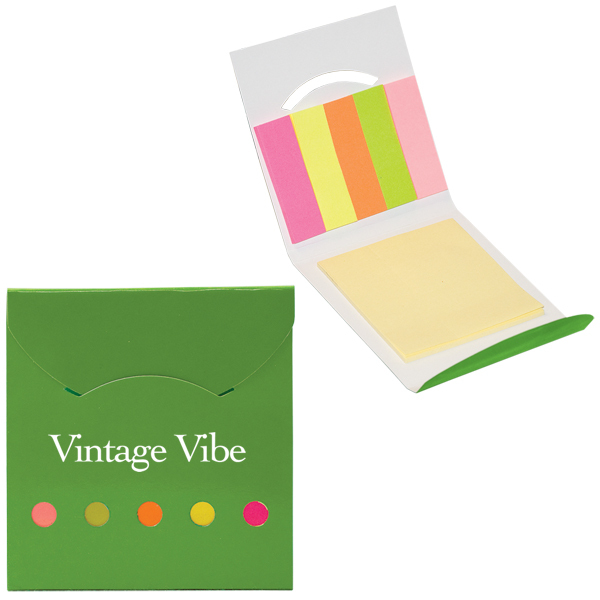 Personalized 150 mini sticky note/flag envelope features a yellow yellow 2.5” x 2.5” sticky pad and five 0.3125” x 2” H neon coloured sticky flags (25 each colour). This flag envelope comes of a great use in school, offices, and home. Being conveniently sized it can be fitted into a purse, brief, desk drawer, or pocket. Affordable pricing coupled with high utility in various places make it one of the most availed promotional gifts. You can receive huge discounts on bulk ordering these flag envelopes. These small budget gifts are perfect for year around gifting and they can be stocked for long time. 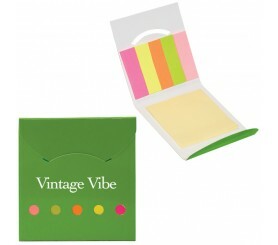 Request a quote to know what you may save on bulk ordering these custom 150 mini sticky note/flag envelope.